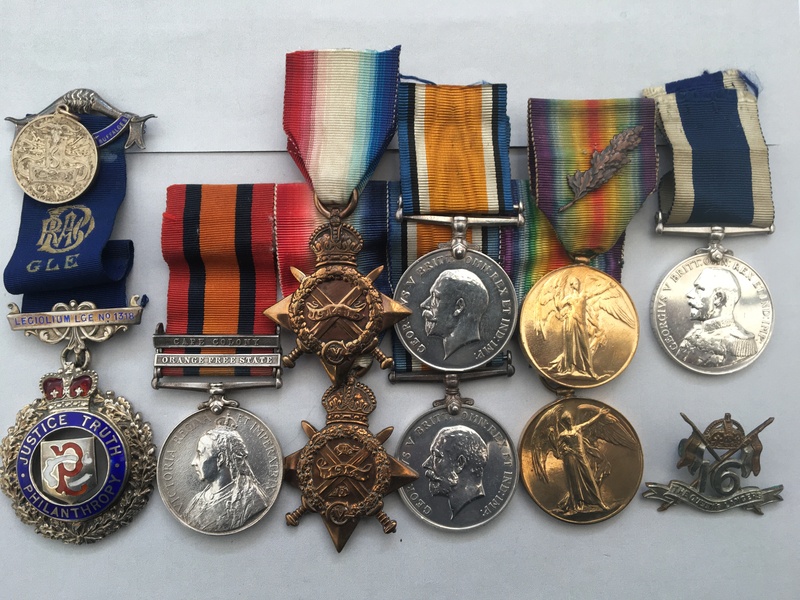 An outstanding family medal group awarded to 227741 Leading Seaman Robert O’Connor Royal Navy (mentioned in despatches) and his brother 4606 (later 6048 and then 228789) Private James O’Connor of the 16th (The Queen’s) Lancers. These are confirmed on the Queens South Africa Medal Roll, which will be supplied with this listing but can also be viewed by clicking on here (again if you have access to Ancestry). British War Medal and Victory Medal named to 4606 PTE. J. O’CONNOR. 16-LRS. 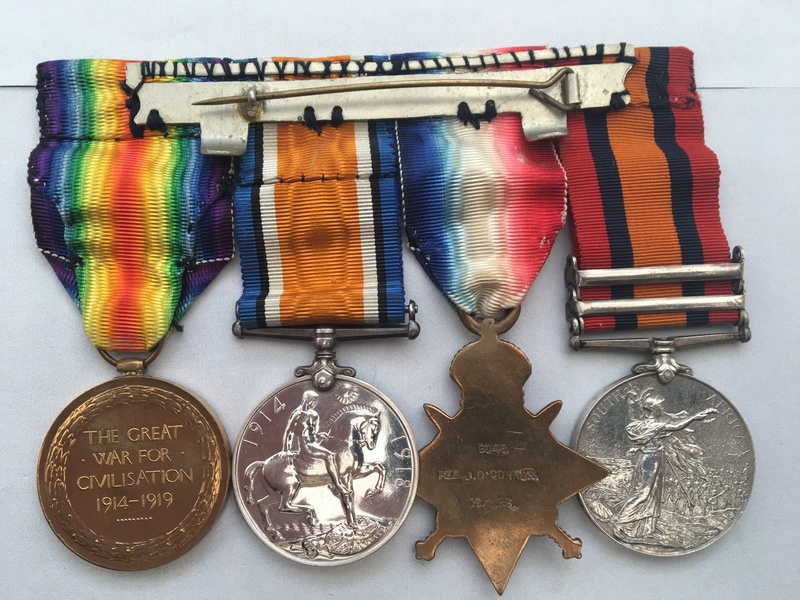 These medals are swing mounted and come with their original ribbons, included is also an award from the Royal Antediluvian Order of Buffaloes (and associated pendant) named to BROTHER J. O’CONNOR dated 1919. Details of the order can be viewed by clicking on here. 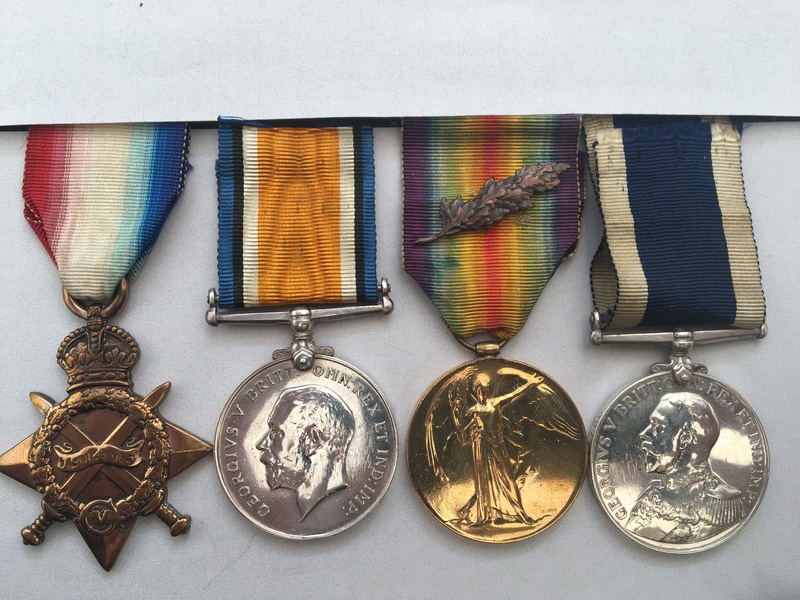 1914-15 Star named to 227741, R. O’CONNOR, L. S. R. N.
British War Medal and Victory Medal (with Mentioned In Despatches emblem) named to 227741 R. O’CONNOR, L. S. R. N.
Long Service & Good Conduct Medal named to 227741. ROBERT O’CONNOR, LDG. SMN. H.M.S. CAEASER. Roberts medal role can be viewed by clicking on here (if you have access to Ancestry, although a paper copy will be provided with this listing). Each medal comes with a short length of original ribbon. James O’Connor was born in Leeds, Yorkshire in 1880 and enlisted with the 16th Lancers at Pontefract on the 11th November 1899 aged 19 - he had previously been a member of the militia serving in the 3rd King’s Own Yorkshire Light Infantry. According to his service records, (a paper copy of which is supplied with this listing), which can also be viewed by clicking on here (if you have access to Ancestry), he served two spells with the 16th Lancers in South Africa, the first from to September 1900 to May 1901 - after which he was brought home (presumably due to sickness or wounds as mention on his QSA Medal Roll) but he returned to South Africa in December 1902 and stayed until March the following year. The history of the 16th (The Queen’s) Lancers can be viewed by clicking on here, whilst a detailed account of their actions and activities in South Africa can be viewed by clicking on here. In November 1904, he was transferred to the Army Reserve before being recalled to duty on the 4th August 1914. At the onset of WW1 the 16th was based at Curragh Camp in Ireland, but they were mobilised and landed in France as part of the 3rd Cavalry Brigade in the 1st Cavalry Division in August 1914 for service on the Western Front. 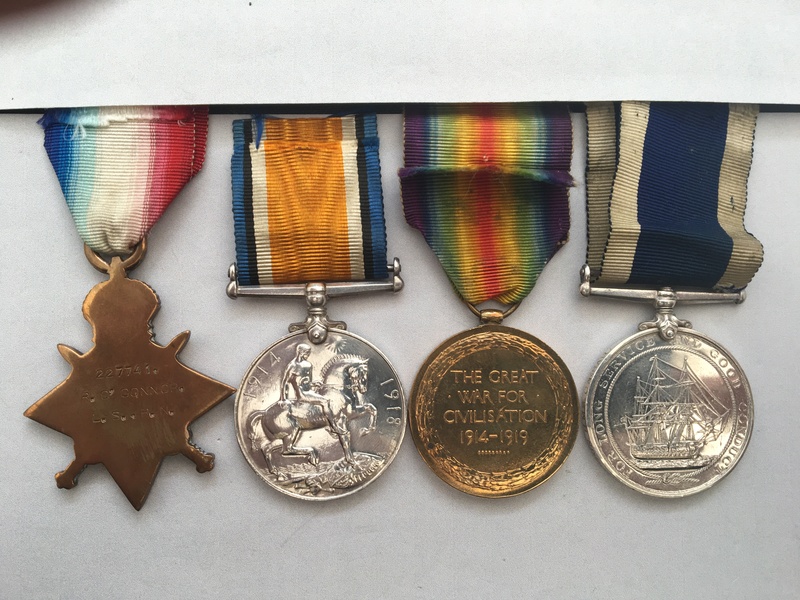 James O’Connor has two Medal index Cards in relation to his WW1 service, and whilst a paper copy of these are provided with this listing, they can also be viewed by clicking on here and by clicking on here (again if you have access to Ancestry). It is not unusual for individuals to have more than one MIC, and the one that relates to his 1914 Star confirms (along with details in his service records) that he landed in France in October 1914. He was either wounded or sick from November 1914 until October 1915, as he was posted back to the UK during that time before re-joining his unit in France from October 1915 until Christmas 1916 when again (either through sickness of injury) he again returned home, and it appear that from July 1917 he was posted to the Labour Corp - presumably no longer fit enough for front line duties. The activities and actions of the 3rd Cavalry Brigade which would have included James O’Connor and the 16th Lancers can be viewed by clicking on here. His brother Robert O’Connor, was born in August 1885, again in Leeds, Yorkshire and joined the Royal Navy on the 31st August 1903 (the date of his 18th Birthday). His Royal Navy Service Record (a paper copy of which is included with this listing), which can also be viewed clicking on here (if you have access to Ancestry) includes very many postings (please note his record continues on further in the service record book utilising space on page 227746. He was ‘Mentioned In Despatches’ on the 17th November 1917. His London Gazette entry can be viewed by clicking on here, in addition, it is also referenced here as a ‘Honours for Services in Action with Enemy Submarines’ which can be viewed by clicking on here, (although you will need to scroll a long way down to the reference titled ‘30386 - 16 NOVEMBER 1917’. It was recorded in the service history records which can also be viewed by clicking on here (again if you have access to Ancestry although a paper copy will be provided). 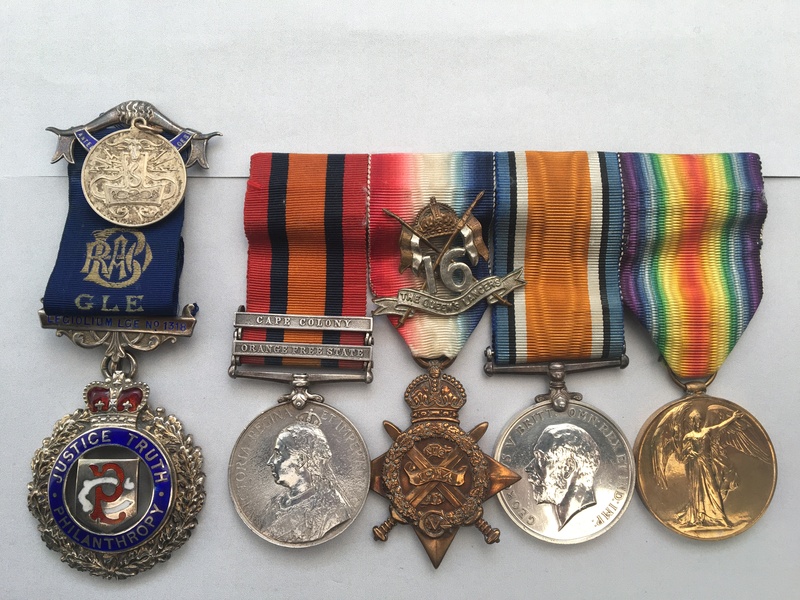 His Long Service and Good Conduct Medal were awarded to him while he was serving on HMS Ceaser, details of which can be viewed by clicking on here. It is not clear what happened to him post WW1, the last reference on his service record is dated 1925, but there is a curious reference to him being ‘…discharged from the Columbian Navy March 1937’, which can be viewed by clicking on here (again if you have access to Ancestry although a paper copy will be provided). There is a photo of him in a uniform (supplied with this listing) that I do not believe is Royal Navy. In 1939 he appears to have signed on for WW2. Records that are available show that he served mainly in Scotland (at shore bases), these include HMS Cochrane, Mentor and Bacchante, which in WW2 was actually the Station Hotel at Aberdeen, taken over by the navy and served as the ‘parent’ establishment for small craft based locally. He was finally released from the service in August 1945…he would have been 60 - a paper copy of these particular service records will be provided with this listing. I AM UNABLE TO SPLIT THIS LISTING.